Brittany Bade is the 9pm and 10:30 pm anchor on our sister station, FOX New Mexico. She also reports for KRQE at 10 pm. Brittany grew up in Phoenix, Arizona and graduated from the Walter Cronkite School of Journalism and Mass Communication at Arizona State University. There, she covered everything from politics to the Department of Veterans Affairs scandal to education. She also spent six months in Washington, D.C. covering Arizona politicians and President Obama’s Executive Order on Immigration. 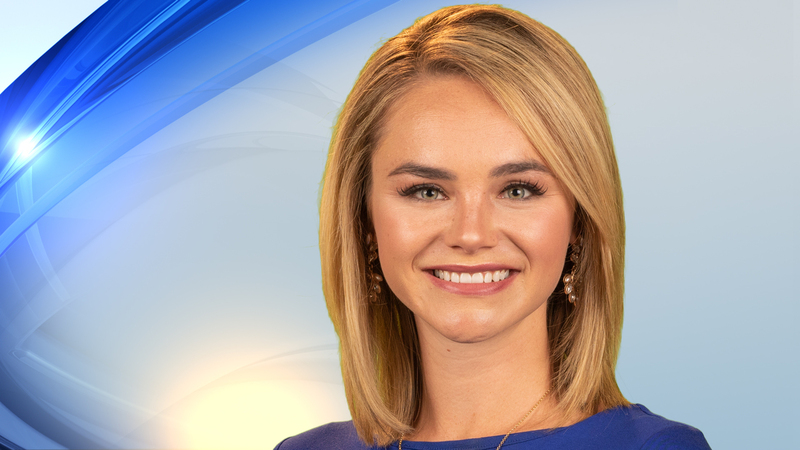 Brittany’s first job was at WBIR-TV in Knoxville, Tennessee. In her two years there, she covered the mass shooting in Chattanooga, TN that killed five military servicemen, a toxic train derailment that prompted the evacuation of 5,000 people, and the devastating Gatlinburg wildfires that killed 14 people and destroyed more than 4,000 structures. Brittany moved to New Mexico in June of 2017. She is excited to explore more of the southwest. She loves to run, hike, travel and ski. If you have a story you’d like to share, feel free to email Brittany. A New Mexico dad will spend his next 15 weekends behind bars after egging on his 12-year-old daughter during a fight. A life-saving surgery leads to a lifelong friendship—a New Mexico woman is helping honor her heart donor's legacy by teaming up with her daughter. It's a safe place for high school students to hang out. While trying to keep them out of dangerous situations, a local school and church teamed up to create a space where students love to be. The ART buses have their own lanes, but at one very busy intersection, they'll have to merge into normal lanes of traffic. It's one of the hottest tickets in town and it shows. Fans who wait until the last minute to see New Mexico United are being met with long lines, and the team is trying to fix it. It took a whole team of scientists to create the first-ever image of a black hole, and an Albuquerque native was the lead developer of the software that made it happen. An 11-year-old's cakes are getting so popular, people from other countries are coming to New Mexico to get one. More orange barrels are up along Central Avenue. This time, it's for a construction project meant to stop illegal left turns across ART lanes in one of the busiest areas of the city. A local mother is doing everything she can to distance her young son from an infamous Albuquerque murder suspect.